Eat what the monks eat. Historians believe that muenster originated in Alsace, France from local monks. 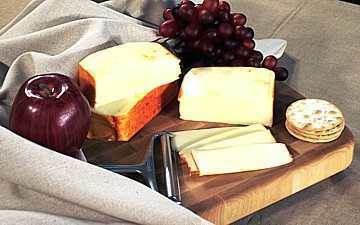 In Wisconsin Muenster cheese was one of the first semi-soft cheeses. Mild when young, muenster makes great slicing for sandwiches and dishes. It also works well for grilled cheese and melts. 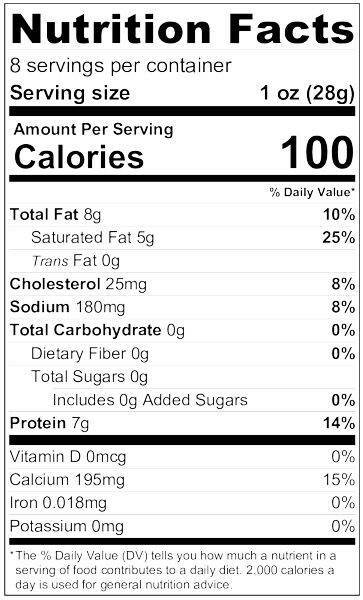 Ingredients: Pasteurized milk, cheese cultures, salt, enzymes and annatto (vegetable color). We absolutely love, Love, LOVE this cheese! So smooth and creamy! Being abroad this brings such a fantastic taste of home we can't get enough! I have to hide a block in the back of the frig just for special days! Got my order of summer sausage and cheese. Just wanted to tell you both are EXCELLENT! 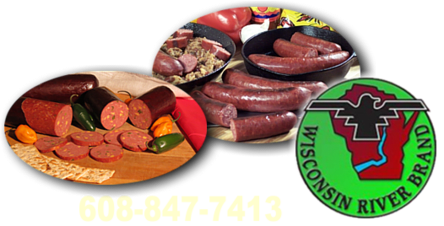 Summer sausage is lean and seasoned great. Munster cheese is mild and why Wisconsin is the king of cheese. Thanks much. You will be hearing from me again soon. Service Area: Mauston, Tomah, Waunakee, Black River Falls, Richland Center, Wisconsin Dells, Nekoosa, Viroqua, Lodi, Montello, Sauk City and surrounding communities.